The hazards of the sea are many. Storms and rough seas may capsize your ship. You may run out of food, or fresh water, or your sailors may suffer from malnourishment (scurvy was common on long voyages before the discovery of vitamin C). Your ship could run aground, or hit an unseen rock or reef. A strong wind could blow you into hazards, or worse, a lack of wind could leave you becalmed, unable to move. And if you are spared the hostility of Nature, you may face the hostility of Man: pirates, mutiny, or wartime combatants. But of all the challenges facing the sailor, the biggest was simply knowing where you are. Mankind has been traveling the waters for over 10,000 years. Our craft evolved from rafts and dugout canoes to frigates and clippers (before the invention of the steamship and powered travel). But for much of that time, voyages were relatively short, and traveled well-known routes. They often hugged the coast. European and North African traders sailed the Mediterranean, or across the Black Sea; Asian merchants followed the monsoon winds across the Indian Ocean. Almost none dared to deliberately venture out into the vast Atlantic or Pacific. They may have been stopped by the need for months of provisions, or the discomfort of a long ocean voyage. But the most frightening thing about straying far from land is that it quickly becomes difficult to navigate, or even to fix one’s position. From this lofty vantage point, it’s easy to imagine that getting around the globe is no problem. The reality is quite different. 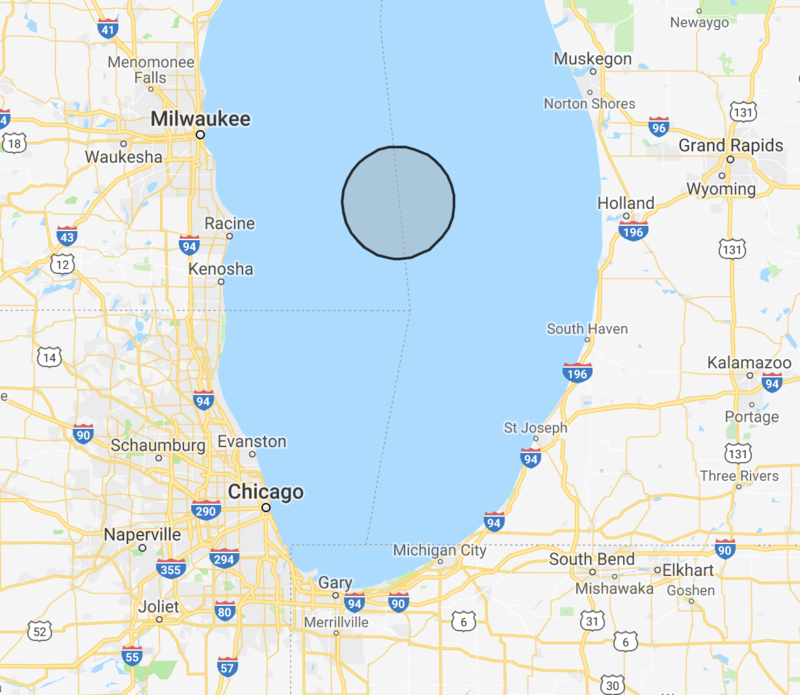 From a height of 100 feet—roughly the “crow’s nest” lookout spot of a large ship—the horizon lies only twelve miles in any direction, even on the clearest day. This means it’s quite easy to completely lose sight of land in the middle of a small sea or even a large lake. 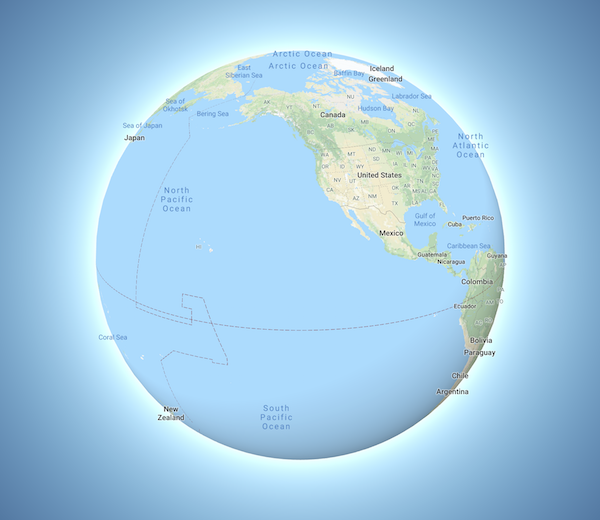 Now, without zooming out—try to scroll to Hawaii. (Hint: it’s south and west.) Go ahead, I’ll wait. Not so easy, is it? 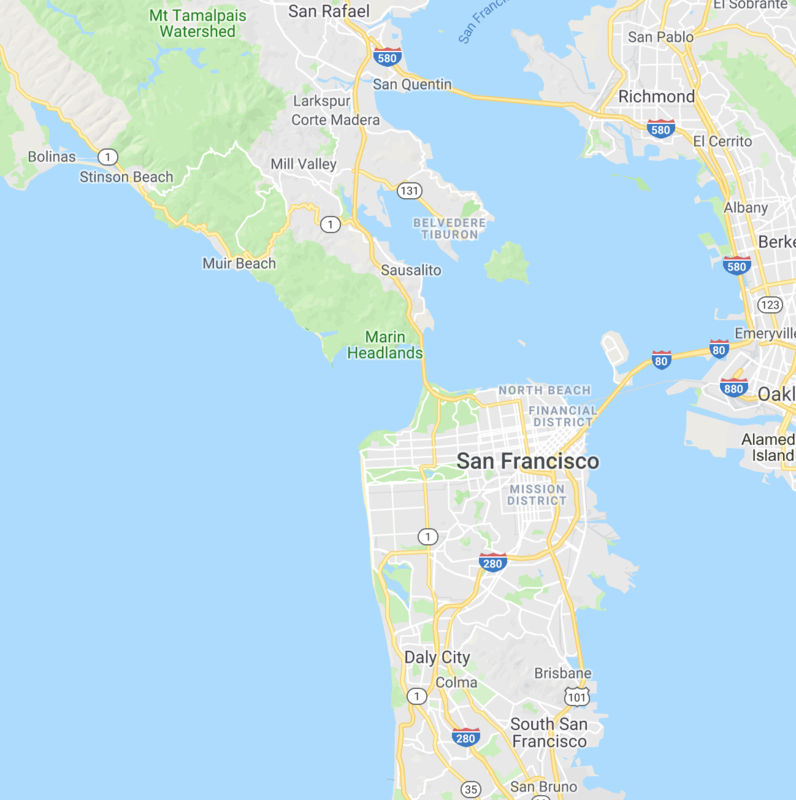 You’re making a voyage of over 2,300 miles—and if you’re off by more than about ten miles, you’ll miss it completely and end up on the other side of the Pacific. Hope you brought enough provisions, and that your crew doesn’t turn against you. With no land in sight to the north, south, east or west, and only deep blue water below you, the only place left to look is up. With no landmarks to navigate by, sailors have to use skymarks instead. The Sun, Moon, stars and planets provide a global reference frame to navigate by. Sailors have used these to figure out direction for thousands of years. The Sun rises in the east and sets in the west; as does the Moon (and stars). At night, Polaris points the way north (hence its other name, the North Star). The compass, probably invented in China before the 11th century, also helps with direction (although it can be thrown off by magnetic metals in the ship itself or in its cargo; it was centuries before we learned to correct for this). But direction is not enough. You can hit a continent that way (say, sailing from East Africa to India), but all you’ll guarantee is that you’ll make landfall somewhere on the coast. If you want to get to an island, or to a specific port, you need more precise navigation. You also need to know where you are. The stars can help with this too. One of the simplest ways to begin to figure out your position is to go back to Polaris, which is situated almost directly over the North Pole (within one degree) Therefore, unlike most other stars, it is visible year round from almost anywhere in the Northern Hemisphere, and its position is the same at any time of night, since the pole stays fixed while the Earth rotates. This means that not only can you use it to determine which direction is north, you can also use it to figure out how far north you are. Here’s how this works: Imagine you were at the North Pole. Polaris, then, would be directly overhead: you’d have to look straight up to see it, right in the middle of the sky. Now imagine instead that you are right on the equator: Polaris will now be on the horizon. If you were to travel from the North Pole to the equator in a single night, then, you would see Polaris descend, as you traveled, until it touched the horizon—and in fact, its angle in the sky would correspond very closely to your latitude. For instance, if Polaris is 37 degrees above the horizon, then you are at 37 degrees north latitude (again, within a degree; to get a more precise measurement, you can adjust for time of day and day of year). The same trick works for anything else in the sky, if you know its position relative to the Earth at the moment you observe it, and if you make the appropriate adjustments. For example, you can observe the Sun at local noon—that is, at its highest point in the sky on a given day. You then make an adjustment for the day of the year to find your latitude. How precise do these measurements need to be? One minute of latitude, 1/60 of a degree, is about a mile. If you want to get within sight of a point, say within about ten miles, you need to get within 1/6 of a degree, or less than one part in 2,000. How do you take these measurements? The crudest instrument is the cross-staff, or closely related, the kamal. The cross-staff is simply two sticks at right angles that can be adjusted. You sight along one to point it at the horizon, then adjust the other, sighting along it to see the star—or the Sun (yes, this means looking directly into the Sun!) The backstaff, as an improvement on the cross-staff, let you sight the Sun using a shadow rather than looking directly into it. The kamal, used in Asia, was similar but with a string and card forming a right angle, rather than two sticks. 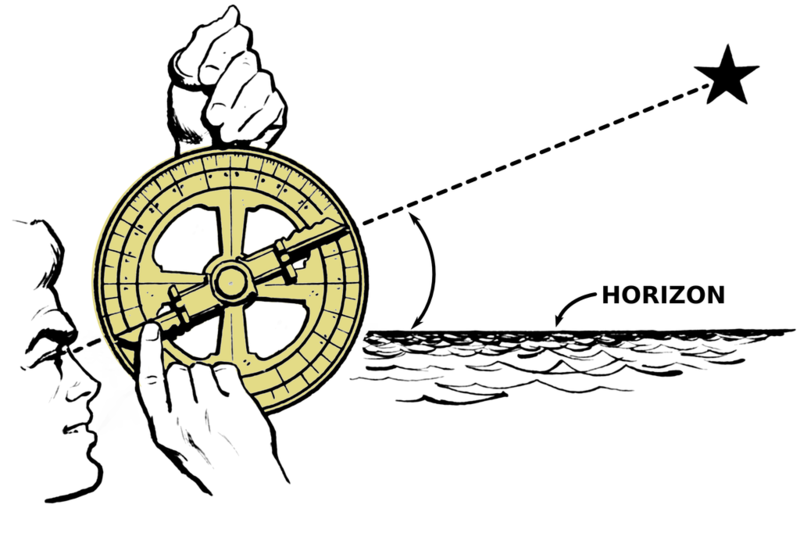 Other tools included the mariner’s astrolabe, which had a circular dial, like a protractor. All of these instruments were difficult to get precise measurements with, for a variety of reasons. The biggest problem was that you had to sight two different things at the same time: the horizon, and a heavenly body. So you had to hold the instrument steady while you adjusted it. Now imagine doing this while standing on the deck of a ship, heaving and rocking in the waves. The solution was to use mirrors to get the two images, the horizon and the target, in view at the same time. An instrument that does this is called a reflecting instrument, and the pinnacle of this design was the sextant (so named because its angle subtends 60 degrees, one sixth of a full circle; because of the reflection of the mirrors, though, a sextant can actually measure twice that amount, or 120 degrees). Depending on the design the of sextant, it may show the horizon on one half and the target on the other, or it may show the two superimposed. It has a dial to make fine adjustments to the angle, and a precision gauge from which you can read off the measurement to one tenth of a degree. And it has tinted lenses to dim the glare of the Sun, when sighting it. 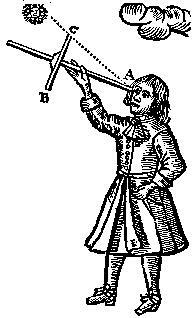 After the invention of the sextant in the 1730s, navigators could determine their latitude with precision. But latitude is, literally, only one dimension of the problem. When it came to longitude, for centuries, sailors didn’t know what time it was. Longitude, it turns out, is a much harder problem. For a long time, sailors had to estimate their longitude by “dead reckoning”. They would measure their speed periodically by towing a log in the water beind the ship on a rope, and seeing how much of the rope was pulled out of the water (they would measure this by counting knots that were tied in the rope at equal intervals, hence the term “knots” as a measure of nautical speed). Multiplying speed by time gives distance traveled. But speed could not be measured precisely, or continuously, and in any case it can only be measured relative to the water, meaning that a strong current can throw off your measurements significantly. Worse, with dead reckoning, errors accumulate, and there is no way to reset, calibrate, or check the measurements, until you hit a landmark. Dead reckoning was so inadequate that a common method of navigation was to first go to the desired latitude, which could more easily be measured, and then simply sail east or west until you reach your destination. Obviously, this is not the shortest or fastest route, and depending on the direction you want to head, you may be sailing against the prevailing winds, rather than with them. 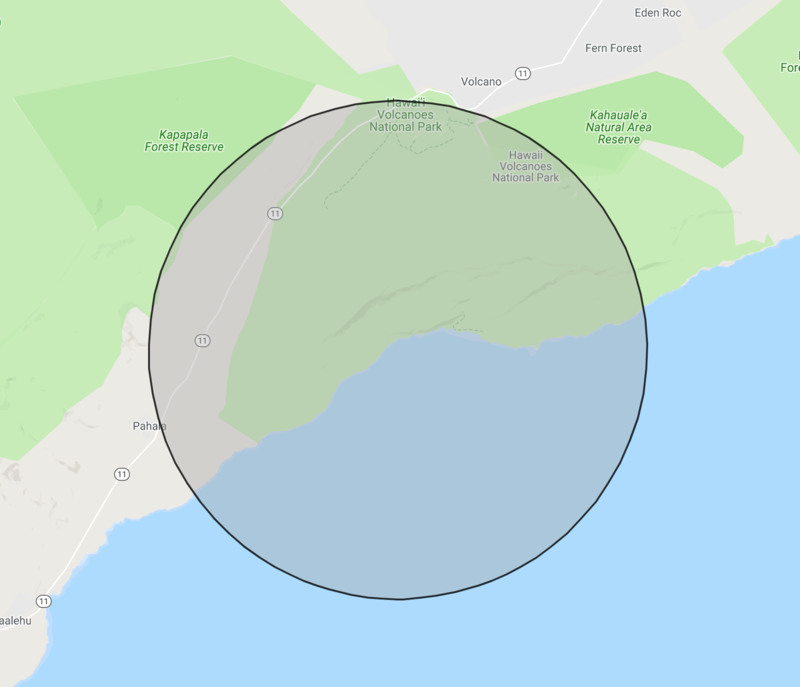 Also, it assumes that you at least know whether you are east or west of your destination, and when heading for an island, you might not be sure. Finally, while this method can be used to find a certain spot, it is inadequate for avoiding hazard areas, such as shoals or reefs, meaning it is easy to shipwreck yourself, or run aground. A better method is needed. By finding out the Longtitude. The difficulty in finding longitude is that, by definition, the Earth rotates exactly in the same direction that longitude varies. So, at a given latitude, almost anything you observe in the sky—a sunset, for example, or a star overhead—is exactly what you would observe 15 degrees east if it were one hour earlier, or west if it were one hour later. To determine your longitude, then, you have to determine the difference in time between your local position and a known reference point, such as Greenwich, England (which, today, is at the Prime Meridian, with a longitude of zero degrees). For instance, if you note that it is noon local time when it is exactly 4 pm GMT, then you are four hours, or 60 degrees, west of Greenwich. Noon local time is easy to determine: again, just watch the Sun and note its highest point. But how, on the middle of the open ocean, can you know exactly what time it is in Greenwich? 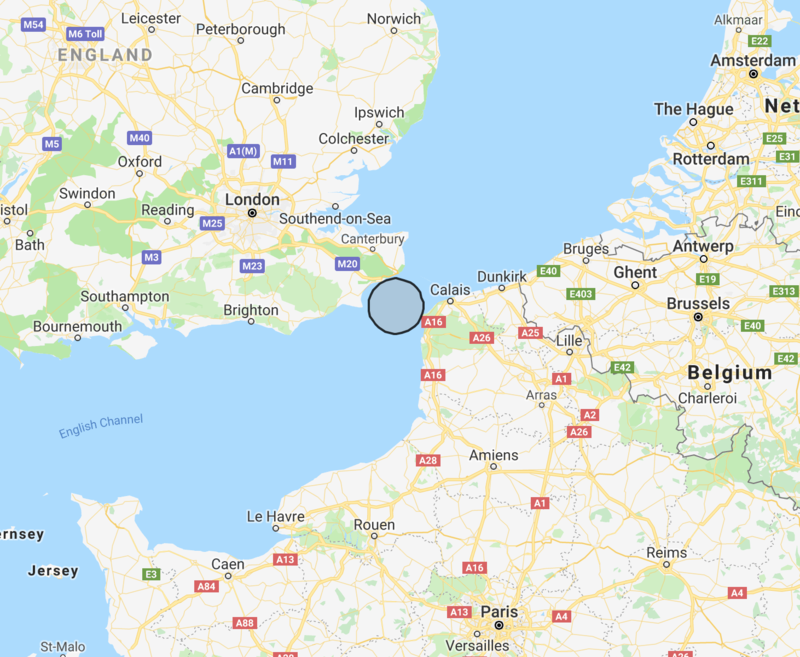 And again, remember the precision required here: if you are off by one minute of time, you’ll only be wrong by one quarter of a degree of longitude, but (near the equator) that is about 16 miles, far enough to miss your target completely and become lost at sea. The earliest methods for determining longitude, like those for determining latitude, were astronomical. I said that almost everything you observe in the sky depends on time and longitude—almost, but not quite. The rising and setting of objects, and therefore their angular height, is useless here, but other events can serve as global, absolute reference points for time. For example, a lunar eclipse happens simultaneously for all observers on Earth. If you knew the exact time an eclipse was going to happen, and you observed it, you could use that to determine the time GMT. Using a lunar eclipse is impractical, if only because they are rare—that is, an eclipse of Earth’s moon. But a more practical method is to use other moons: specifically the moons of Jupiter. Galileo, who discovered the first four of Jupiter’s moons, also found that their passage into and out of Jupiter’s shadow was frequent enough, and predictable enough, that you could use their eclipses in exactly this way, as a kind of celestial absolute clock. 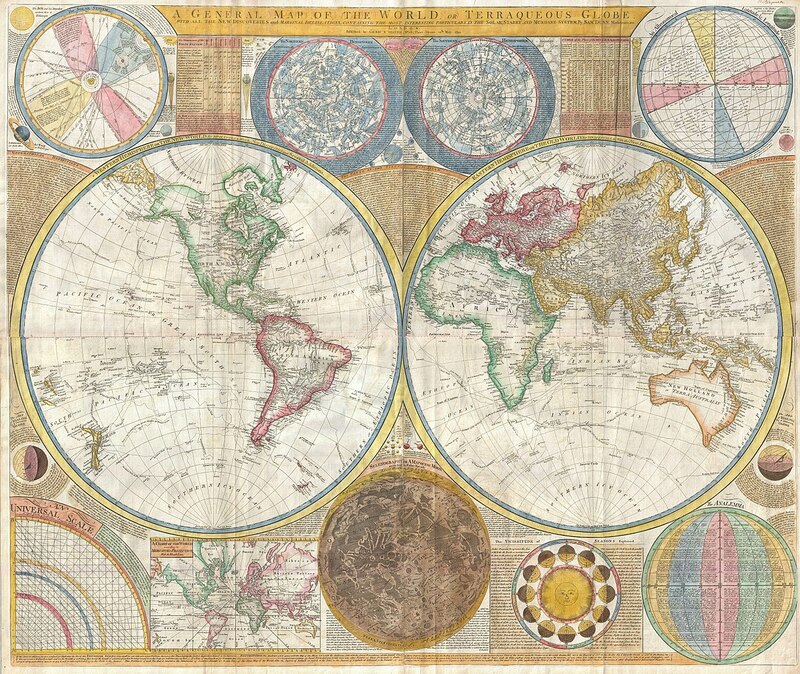 This method was, indeed, used to find latitude on land, and it helped increase the accuracy of maps of the world. But it was impractical on a ship, because of the size of the telescope needed to see Jupiter, and the difficulty of keeping the planet in your sights as the ship heaves and rolls. A different method was developed in the 1700s, and it uses observations of Earth’s Moon, but not eclipses. Instead, it uses the precise angular distance between the Moon and the Sun or certain known stars. While the angle between the Moon and the horizon depends on longitude and time, the angle between two objects in the sky does not. And the Moon changes its position relative to the Sun and stars fast enough for these angles to tell time. To do this, you need a very good prediction for exactly where the Moon will be, hour by hour, for years in advance (because voyages of exploration could last years before finally returning home). This wasn’t possible until tens of thousands of careful observations were made over a period of decades, and until Newton’s theory of gravity could be applied to understand the complex and subtle variations in the Moon’s orbit (which is affected not only by the Earth but also by the Sun and the tides). This finally happened in the 1700s. The observations were made from an observatory at Greenwich, which is why today this is the location of the Prime Meridian. The method of lunars, as it was called, worked, but it was not without drawbacks. First, the Moon had to be visible: clouds could obscure it, preventing readings, and for part of the month it’s simply too close to the Sun. Second, the calculations were difficult; the first version of the method required four hours to complete, although later, pre-calculated tables got it down to half an hour. Finally, many adjustments had to be made for a variety of factors that influence the observations, which could introduce error into the calculations. Fortunately, around the same time that the method of lunars was developed, another method was created from an entirely different direction, one that was much simpler in concept and operation, if not in technology. After all, if you want to know what time it is, all you really need is a watch. A very good watch. So good that it goes by a special name: the marine chronometer, a watch that can be taken on an ocean voyage and still keep time accurately. With the aid of a chronometer, any observation of local time can be instantly compared to GMT, and the difference multiplied by 15 degrees per hour, no complex calculations needed. But the demands for a chronometer are strict. It must withstand the rocking and heaving of a ship on the water, so it cannot use a pendulum mechanism; given that electronics were over a century away, this meant it needed to be based on a spring. It had to keep running consistently while being wound, unlike some spring-based watches that would stop or run backwards when wound. It could not speed up or slow down with changes in temperature, which was a common problem, since the metal parts of a watch contract slightly in cold and expand in heat. And it had to be so precisely tuned that it did not gain or lose more than a few seconds on a long ocean voyage of many months. These problems were solved by a clockmaker named John Harrison. 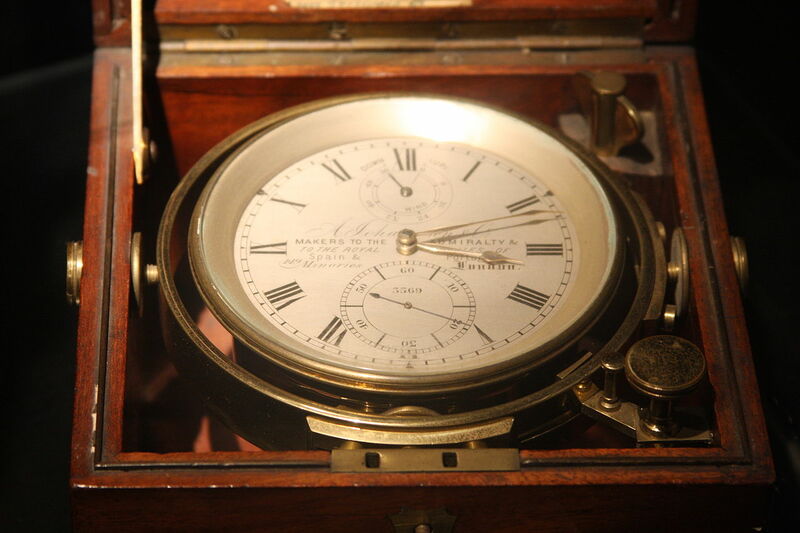 Harrison was trained as a carpenter, but his passion for precision and accuracy, stoked by the dream of winning the Longitude Prize, drove him to develop a series of models of marine chronometers over the course of a few decades. The initial models were clocks, relatively bulky and heavy, but his efforts culminated in 1759 in what is best described as a large watch about five inches in diameter, known as “H4” (indicating Harrison’s 4th model). The chronometer had many advantages over the method of lunars: the method was quick to execute, it required no special skill to determine the time, it could be performed at any time of the month and under any weather conditions, and it was relatively precise. However, it too had drawbacks. The chronometer was initially expensive, although the cost was brought down by artisans and engineers who came after Harrison. Unlike the Moon, the devices could break or get out of adjustment; they had to be wound every day without fail; and they relied on continuous proper operation for the entire duration of the voyage: if they got out of sync, they could not reset themselves. Fortunately, the method of lunars and the chronometer complemented each other nicely, each making up for the other’s shortcomings. So the ultimate solution was to use both: multiple chronometers would be taken aboard a ship (when such could be afforded), but lunars were also taken whenever possible. The chronometers could be consulted whenever the Moon could not be sighted, and the Moon could be used to calibrate the chronometers and reset them if necessary. With the sextant, the method of lunars, and the marine chronometer, the art of navigation was perfected. It was now possible to arrive at a destination precisely and efficiently. Combined with the discovery of nutritional standards that eliminated scurvy, these innovations made ocean voyages far less dangerous than they had ever been. Armed with these new tools and techniques, seafaring nations in the 1700s and 1800s sent out explorers to complete the discovery of the world that had begun in the 1400s. These bold adventurers, such as the famous Captain James Cook, mapped coastlines and discovered islands, including Hawaii. They charted natural harbors and found new passages. They braved shoals and reefs, such as the Great Barrier Reef off the coast of Australia, and marked these hazards for future captains to avoid. They mapped the winds of the world, which are not completely random, but show regular patterns by latitude, by ocean, and by time of year. They mapped the Earth’s magnetic field, finding the local deviation between magnetic north and true north. In the 1900s, electronic technologies gradually replaced these methods, starting with radio, then radar, and finally satellite GPS. But most navies still teach these methods today, as a practical backup system that doesn’t rely on sensitive electronics and can neither be jammed nor detected by enemies in wartime. And for over 100 years, every captain, crewmember and passenger owed their safe passage to the astronomers, instrument makers, and explorers who created these methods and made that map possible.